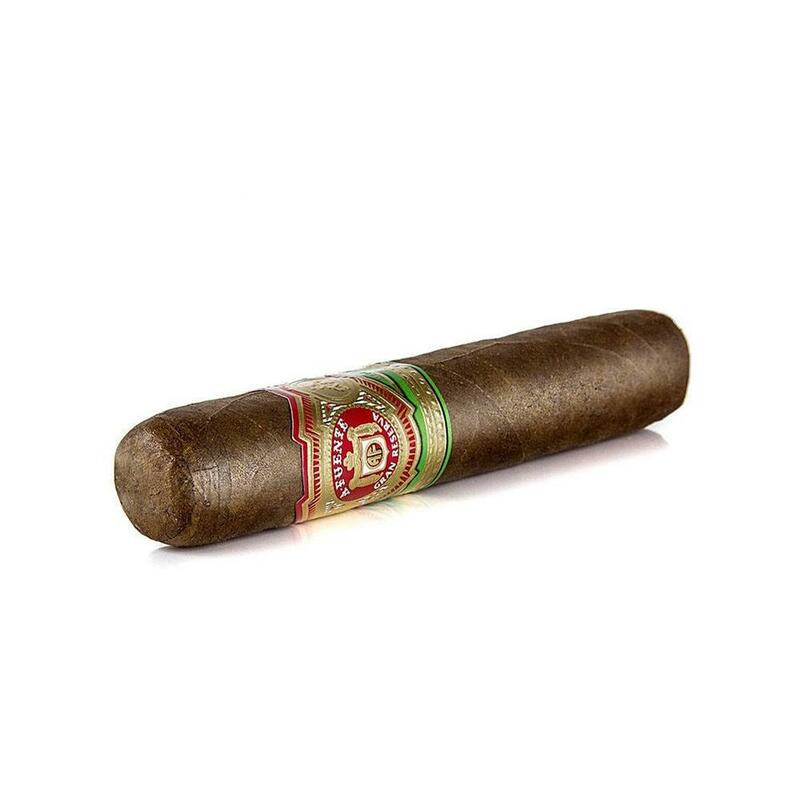 One of the most consistently satisfying hand rolled cigars in the world, the mild to medium body of Arturo Fuente Gran Reserva cigars boasts a nutty core and subtle hints of spice, while the Cameroon wrapper provides a smooth smoke all the way through. The climate, abundant sunshine and frequent afternoon rain showers in the Dominican Republic have contributed to the perfect rich, red soils at Chateau de la Fuente. The Fuente family found their dream location for cigar production and Arturo Fuente cigars remain the highest rated and most popular in the United States. Tabacalera Fuente’s Gran Reserva Rothschild Natural is a handmade stogie, in the Cubano tradition, with perfectly aged Dominican filler and binder wrapped in an African Cameroon wrapper. The result is a mild-to-medium bodied, smooth and fragrant cigar. The flavors of warm toast, cinnamon and clove make a wonderful companion to a bold full-bodied red wine . Some might not equate sangria in the cooler months but recently many mixologists have concocted sangrias that are drier and spicier and pair well with the Gran Reserva Rothschild Natural on a crisp autumn afternoon. On a recent day trip to the Pennsylvania countryside, I found that perfect fall sangria, and the bartender was obliged to share his recipe. Place the cinnamon sticks, apples, and orange slices in a large pitcher. Add wine, apple cider, brandy, orange juice, and lemon juice. Allow to sit in the refrigerator for 6 - 24 hours. Taste; if you'd like it to be sweeter, add 1-2 Tablespoons granulated sugar, honey, or agave. Garnish with a cinnamon stick. Cheers!